"Because in this story of flamenco everything is 'me, me, me,' and if there's any room left, it's 'me', too, you know what I mean?" Flamenco has given me an influence and dedication, it gave me a satisfaction that I have never felt before. At the same time, an understanding to the concept of dancing without boundaries. When I mean boundaries, I want to say that there is no preference in terms of male or female. Flamenco was sexualized in the Franco era back in the 50’s. Francisco Franco, Spanish dictator from 1939 until his death in 1975. The woman dancer with a tight dress, and high bundled up hair with a flower on the side, the exaggerated jewelry and makeup, the red polka dot dresses, and the constant poses in photographs, made a constant point of what was considered flamenco, the symbol of Spain or of the hispanic woman. The abuse of this image, has kept flamenco misunderstood for years. The one with the tight polka dress, and the other, a gypsy, man or woman with regular clothes, the women with long big skirts, and men wearing regular day to day clothing. To each of my readers I would ask this, Which one do you think is the best representation of flamenco? I am pretty sure most will answer the one with the polka dress. The reality is that the gypsy woman under this paragraph can also be a good flamenco dancer, and by all means they might be more authentic and pure because they feel it inside, they were born with it, but you will hardly see them on a stage. As a side note, I am not saying that the one with the polka dress is not a good dancer, she might be, but the reality is that what we consider flamenco, has been given to us in a different, more suttle way in order to sell tourism to Spain, at a time when Spain was seen as a haven to communism under the Franco administration. No one in the democratic world wanted to visit a communistic country like Spain, but many wanted to see a flamenco show. Ironically, gypsy communities were expelled and thrown out of their houses and neighborhoods all over Andalusia. They were marginalized, their music was censored in terms of not allowing them to sing or dance in public places, and their culture stolen as a Spanish marketing campaign for tourism. To this day, gypsies are one of the poorest and marginalized communities in Spain. Flamenco from a gypsy perspective is an art form where culture, pain and suffering, happiness or celebration are expressed. The term called “duende,” has all of these elements. The flamenco dancer who is of gypsy descent, can sometimes be seen as crying emotionally while dancing. The singer can explode in a great cry on the song, and the beats are intensified. Sometimes a flamenco student can feel this in a split of a second, when the song is understood, the rhythm is felt in the heart, and a certain urge to dance without warning provides a sense of relief to the soul. Flamenco is a soul type of dance, some say tribal, some say a demonstration of love. 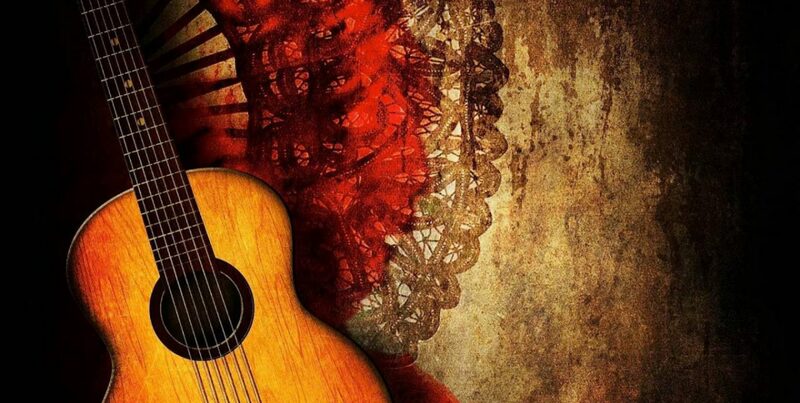 I invite you to have that feeling, sign up for a flamenco class, and enjoy the discovery of “duende” in you. For more of an understanding on the repression and discrimination on the gypsy community, I suggest you read the article written by Jossy Bartal called Flamenco’s Repression and Resistance in Southern Spain, it can give a brief understanding of what is going on today to the gypsy community, and the history on their persecution in Spain. The next time you see a flamenco show, think of this and try to find the differences and where flamenco was sexualized in order to sell plane tickets. If you have any comments or have any questions, please write me on the bottom of this blog, thanks. Previous postAfter a Short Vacation… I need flamenco! After a Short Vacation… I need flamenco!